This Saturday I attended the fabulous Rutgers One-to-One mentoring conference. It was a great opportunity to meet with writers, discuss their work, and shoot the breeze with my peers– fifty-or-so of whom turned up to volunteer their time and expertise. The highlight though, for me, was Bruce Coville’s keynote address. I was obsessed with the Rod Albright books in grade school. 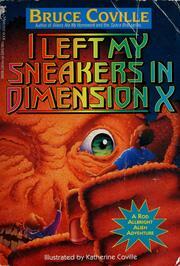 Aliens Ate My Homework, I Left My Sneakers in Dimension X, etc. I even fashioned tiny aliens out of Play-Doh and converted one of my mother’s ex-makeup packages into a vaguely disc-shaped spacecraft. I used to run around the yard making laser noises and essentially embarrassing myself and having a wonderful time. And yet, I’d only noted Bruce’s presence at the conference with passing interest. I was here to work, network, and drop some truth bombs about conflict and character arcs. Not swoon over childhood idols. My afternoon session went long, so I arrived at the makeshift auditorium late. 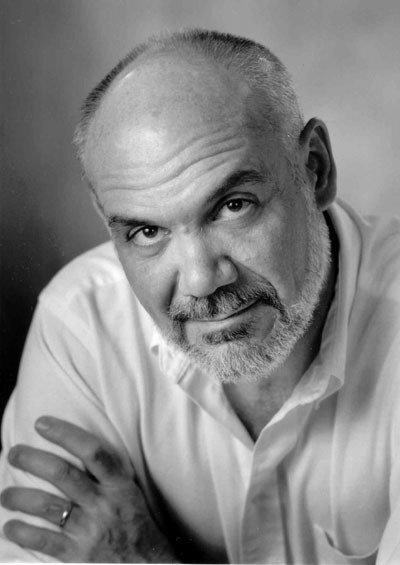 I’m embarrassed to admit I had no idea what Bruce Coville looks like, and when I entered I saw a bald, bearded man in a brilliant white shirt standing before an enormous crimson curtain. It looked like God was giving the keynote. I found a seat at the back. All my peers, the mentees, everyone had their backs to me. Though the space was packed, I suddenly felt pleasantly alone, private, as if it was just me and Bruce, one of the first authors who’d ever captured my imagination. Suddenly I didn’t feel like a professional book-sligner, Mr. Big Bad Agent Man. Instead, I felt like my fifth-grade self, John Michael, a total geek, total cheese-ball, utterly vulnerable. Now, I’ve heard a few keynotes in my day, the majority of which have the same subtext: “Being Me [Bestselling Genius Author of the Week] is Absolutely Amazing.” Bruce was different. He spoke about “lengthening the chain,” how making life just a little easier for others can ripple out in unpredictable, positive ways. He read letters from fans (to other writers) about the positive effect of books in their lives. It suddenly struck me (how had I forgotten? ), that we are in the business of communicating… something to young people. What we choose to show kids effects and even shapes their world. We are not just here to tell compelling stories, but to share meaning. I don’t mean preachiness, littering the narrative road with moral cow pies for kids to step in. I mean taking whatever it is that moves us, cuts us to the bone, makes us sing, laugh, or totally lose it, and giving it away in our writing. Then Bruce said something that absolutely killed me. There’s something to be said for building up your armor, especially in a world that is not always beautiful, meaningful, or easy. It’s easy to grow callouses around your tenderest feelings, especially when the work-a-day existence of surviving demands so much force and bullheadedness. But that’s what I love about writing novels. It is a chance to not be numb. It is permission to weep. And I’ll tell ya, maybe it was exhaustion, or relief, or hearing it straight from a childhood hero, but I teared up right then. I’m glad as hell I was in the back where no one could see me. (It doesn’t look good for an agent to get misty-eyed.) But I’m happier still that for the second time in my life, Bruce Coville reminded me to be happily vulnerable. To be a total geek, an absolute cheese-ball. Agent with Folio Jr., representing picture books, middle grade, young adult, and everything in between. Author of GIRL PARTS and CHERRY MONEY BABY. Co-founder of Armchair/Shotgun. Mostly harmless. Have a Picture Book, Middle Grade or Young Adult Project? Submit!